The institute will introduce the governing rules and regulations from time to time. These will be final and binding on all the students. Read the prospectus carefully before filling in the Application Form. State clearly on the form the title of the course and the month/year when you wish to join. Write clearly and legibly using capital letters in BLACK ink. The completed Application Form must be sent with four passport-size photographs & copies of relevant certificates. An application form sent without these will not be processed. After processing the application, you will be sent a Letter of Acceptance which will state that the institute is willing to offer you a place on the course subject to the payment of the tuition fee in full or by installments, the conditions of which will be stated in the Letter. For the convenience of students, the Letter will give an estimate of the cost of maintenance per month. Diploma from any Board of Technical Education. The acceptance of students for the Diploma programs depends upon the candidate’s score in the admission test, which comprises of intermediated level descriptive and multiple-choice question papers. The successful candidates are called for a preliminary interview to decide their final selection. Those found eligible are directed to report to the Front office to complete the Admission formulated. Upon receipt of the full tuition fee or the first installment of the fee, the institute issues a Letter of Enrolment (LOE) to students stating that a place has been reserved on the course. 10% of the total fee (not installment) within 5 days of commencement of a program. 25% of the total fee (not installment) within 10 days of commencement of a program. 100% refund will be allowed if course is not conducted by ITHM due to any reason. 100% refund will be allowed if a student will draw himself due to change in schedule of course. Registration fee will be non-refundable in any case. All students need to seek information on and abide by the regulations and all other official communications of the Institute. Students are fully informed of the function, structure and aims of the Institute. Students are expected to attend all classes, labs, field trips and other related instructional activities regularly and punctually. A student who for some reason abstains from class should explain in writing the reason for the absence. A student who misses an announced examination (other than a final examination), because of illness or other good reason must immediately upon returning to class, present to the instructor a report from a physician or other acceptable explanation for the absence. A student who for good reason must be absent from the Institute for an extended period of time must apply for a leave of absence. Cases of students with consecutive absences will be reported to the Program Director and to the student’s parents or guardians. Absence from classes does not excuse students from course work or their obligation to complete assignments on time. Being late for classes is not only detrimental to the academic progress of the latecomer, but is disruptive for the entire class. Students may be marked absent. Persistent Offenders maybe suspended from the college. 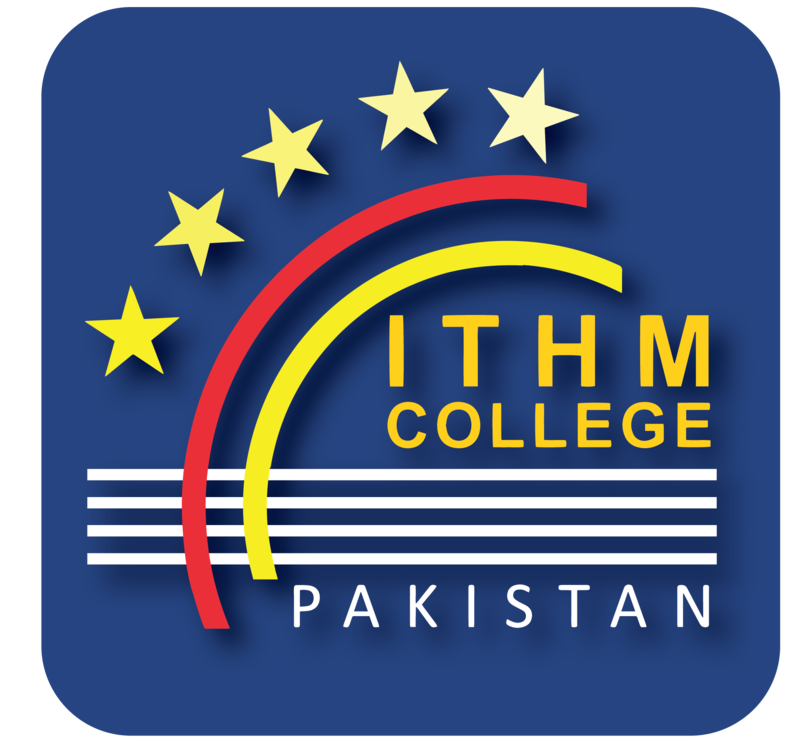 ITHM will treat all employees and students with respect and dignity and seek to provide a working and study environment free from institute harassment and bullying, discrimination and victimization. It will not accept any form of discriminatory behavior on its premises, against its employees or students, either from other employees, students or visitors. The institute aims to ensure that all actual or potential employees and students are treated equally, regardless of age, disability, family responsibility, marital status, race, colour, ethnicity, nationality, religion or belief, gender and unrelated criminal convictions. To be an effective institute, we must, as individuals and teams, take responsibility not just for our own work and ourselves, but also for others. We should support each other in this process. The institute expects that all students will be honest and forthcoming in their dealings with the members of this community. Further, the ITHM expects that students will answer truthfully questions put to them by a properly identified officer of the institute. Failure to do so ordinarily will result in disciplinary action, including but not limited to requirement to withdraw from the institute. All students are required to respect private and public ownership, instances of theft, misappropriation, or unauthorized use of or damage to property or materials not one’s own will ordinarily result in disciplinary action, including but not limited to requirement to withdraw from the institute. Cheating -having, giving or receiving unauthorized assistance of any form, in any academic exercise or examination. Using or attempting to use any unauthorized material, information or study aid in any examination or academic exercise. Plagiarism -Representing the ideas or language of others as one’s own. Falsification -Inventing any information, dates or citations in an academic exercise. Multiple submissions -Submitting the same written work to more than one instructor without their knowledge and permission. Interference -Hindering the performance of another student. Complicity -Facilitating any of the above acts. Sanctions will be imposed on any student found guilty of any form of dishonesty. ITHM strives to maintain a safe and secure environment for all members of the community and thus does not tolerate physical violence used by or against the members of the community. Students are expected to avoid all physical conflicts, confrontations, and altercations unless their own safety or that of another is at extreme jeopardy. Failure to do so will ordinary result in disciplinary action, including but not limited to requirement to withdraw from the Institute. Intended to misinform & thereby cause annoyance, inconvenience, or needless anxiety to others. You should take care when using electronic communications as message can easily be misunderstood. The institute takes all forms of harassment very seriously. The books in ITHM’s library constitute some of its most valuable assets, and it is essential that all members of the community have reasonable access to them. A student who violates the use and lending policies of library without authorization or mutilation, defacement, or abuse of any library book or library resources will ordinarily lead to formal disciplinary action, including requirement to withdraw. The Institute’s authorities reserve the right to dismiss students from the Institute not only for satisfactory academic performance, but also for failure to maintain proper standards in personal behavior. Any student caught damaging the property of the Institute in any way, will be required to meet the costs of the damage incurred. The Institute reserves the right to impose further penalties for such unruly actions. Students have the responsibility to respect the right of others, to refrain from disruptive, threatening, intimidating, harassing or destructive behavior. Breach of discipline is dealt with by the Disciplinary Committee. Engages in conduct which disrupts or is likely to disrupt teaching/learning activities or the administration of the Institute. Engages in conduct which obstructs or likely to obstruct any employee of the Institute in the performance of his/her duties. Damages, defaces, occupies, or uses Institute’s property without authorization. Refuses to leave any property of the Institute when required to do so by a member of the Academic Staff, Senior Administrative staff or any employee of the Institute who has particular responsibility for that property. Fails to comply with any of the regulations for Conduct or any other regulations or rules which bear the same force. During the semester session the progress of the students is continuously monitored through class tests, quizzes and assignments. A mid-term examination followed by an end-semester examination and a quizzes and assignments. A mid-term examination followed by an end-semester examination and a project to be competed within a stipulated period of time, forms a reasonable assessment of the achievements and caliber of the students. Any student, who maintains a CGPA of 2.0 or more, shall be promoted to next class, irrespective of number of failures in the semester. A student with CGPA between 1.5 and 2.0 shall be placed on probation, which he\she has to obtain “A” or “B” grade. This concession will be allowed only once, and incase of failure to achieve the required GPA (2.0 and above) the candidate shall be removed from the Institute rolls. The credit hours are calculated by the class hours allocated to a course per week. The CGPA (Cumulative Grade Points Average) for a semester shall be determined by the sum of the product of grade points and credit hours of the course divided by total credit hours for the semester. Students will be informed of their progress in each course by grades scored by them in class test, quizzes, assignments and project. The students will receive a notice halfway through each semester, if their grades are below a “C”. The grade reports are issued at the end of each semester. The management incase of some unforeseen circumstances, reserves the right to offer an alternative course in place of an already planned course within seven days of the start of a semester session. ITHM accepts transferred credits earned at any recognized Institute, and will exempt the students from having to repeat those courses. Similarly our credits are transferable to other recognized Institutes of the world. The Institute reserves the right to cancel any scheduled courses for which sufficient number of enrolments do not turn up. As an important phase of their vocational training, every student is required to participate in an eight/twelve weeks internship training period, after having completed his/her Diploma program. During this period they are attached with hospitality/tourism industry unit to gain practical experience and sharpen his/her expertise. They are required to submit a written report after completing their assignment. A committee of experts would review these reports and recommend measures to be taken for furthering benefits of such exercises for the future.